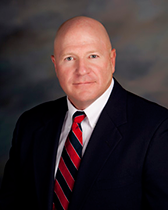 Barrett Corneille has been a civil trial lawyer for over 30 years. During that time, he has tried over 200 civil jury trials to verdict. Those trials have occurred in almost every county in the state of Wisconsin and include trials against the majority of the top civil trial attorneys in Wisconsin. He has tried cases in the areas of medical negligence, personal injury, insurance coverage, bad faith, civil rights, construction, product liability, and environmental law. In recent years, almost all of his trials have involved claims in excess of one million dollars. He is a member of the Corneille Law Group Madison medical negligence team which garnered a first tier ranking by U.S. News and World Report: Best Law Firms® for medical malpractice defense in 2016 and is listed as a Top 10 Wisconsin Super Lawyer for 2015. * Only two lawyers in Wisconsin were named Best Lawyers in America for Medical Malpractice Law for 2011 and Attorney Corneille was the only defense medical malpractice attorney selected.